This article describes a novel robust hybrid control of a 7-DoF upper limb exoskeleton robot. Insensivity can be taken into consideration as the important feature of sliding mode controllers, which is merely valid in the sliding phase. In order to improve controller performance by eliminating or minimizing the time to reach the sliding phase, a sliding surface design can be designed appropriately. 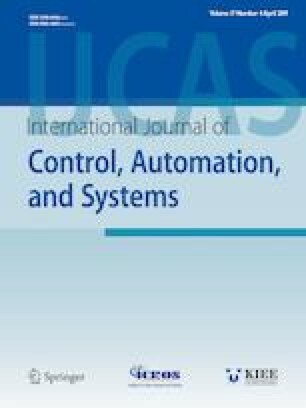 In this study, a new sliding mode controller is designed to achieve high performance, which is robust against external disturbances. PID controllers have been widely used in robotic systems since high trajectory can be one of the most important advantages of this controller. Therefore, by combining a new sliding mode controller and a conventional PID controller, a novel hybrid controller is proposed which has excellent performance. Simulation results demonstrate the effectiveness of the proposed control method. Recommended by Associate Editor Yang Tang under the direction of Editor Hamid Reza Karimi. Mehran Rahmani received the MSc degree in Mechanical Engineering from University of Tabriz in 2015. He is a Ph.D. candidate in Department of Mechanical Engineering, University of Wisconsin- Milwaukee. His research interests include nonlinear control, adaptive control, fuzzy control, neural network, and robust. Mohammad Habib Rahman is with the Mechanical and Biomedical Engineering Department, University of Wisconsin-Milwaukee, WI, USA. He received a B.Sc. Engineering (mechanical) degree from Khulna University of Engineering & Technology, Bangladesh in 2001, a Master of Engineering (bio-robotics) degree from Saga University, Japan in 2005 and a Ph.D. degree in Engineering (bio-robotics) from École de technologie supérieure (ETS), Université du Québec, Canada in 2012. He worked as a postdoctoral research fellow in the School of Physical & Occupational Therapy, McGill University (2012-2014). His research interests are in bio-robotics, exoskeleton robot, intelligent system and control, mobile robotics, nonlinear control, control using biological signal such as electromyogram signals. Jawhar Ghommam is an Associate Professor of control engineering at Sultan Quaboos University in Oman. He is a member of the Control and Energy Management Lab and also an Associate Researcher at the GREPCI-Lab, Ecole de Technologie Superieure, Montreal, QC, Canada. His research interests include nonlinear control of underactuated mechanical systems, adaptive control, guidance and control of autonomous vehicles, and cooperative motion of nonholonomic vehicles.